Seattle CityPASS Review 2019: Should You Get It? How Much Does the Seattle CityPASS Cost? 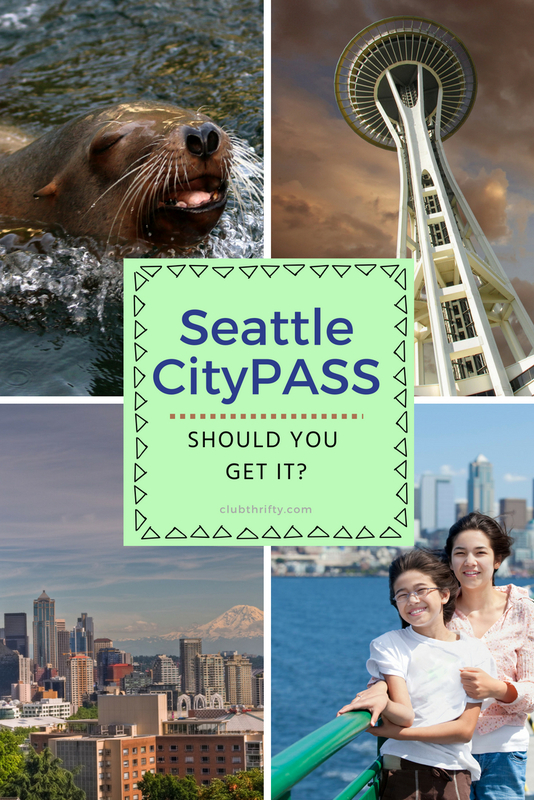 Who Should Consider the Seattle CityPASS? Who Should Skip the Seattle CityPASS? Is the Seattle CityPASS Worth It? The Seattle CityPASS is an excellent way to see Seattle's top attractions at a discounted price. Still, it's not right for everybody. In this Seattle CityPASS review, we'll explore how it works, what the pass includes, and how much it costs. We'll also help you decide if it's a good fit for your Seattle travel plans! In this Seattle CityPASS review, we’ll explore how it works, what the pass includes, and how much it costs. We’ll also help you decide if it’s a good fit for your Seattle travel plans. Enjoy! Are you planning a trip to the largest city in the Pacific Northwest? If you like sightseeing, you’re in for a treat. 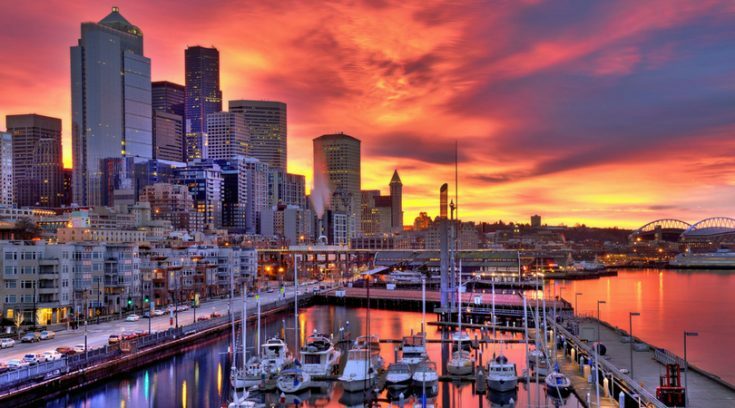 Seattle full of fantastic places to visit – not to mention a to-die-for food and coffee scene. Whether you’re traveling solo, with friends, or as a family, I’m sure you’d like to visit Seattle’s top attractions without breaking the bank. Thankfully, you’re in luck! We’ve got a tool to help you do just that. The Seattle CityPASS is a sightseeing card that provides entry to Seattle’s biggest attractions – at a discount, of course. You pay a set price for the pass and skip paying admission at the door, resulting in some serious savings. 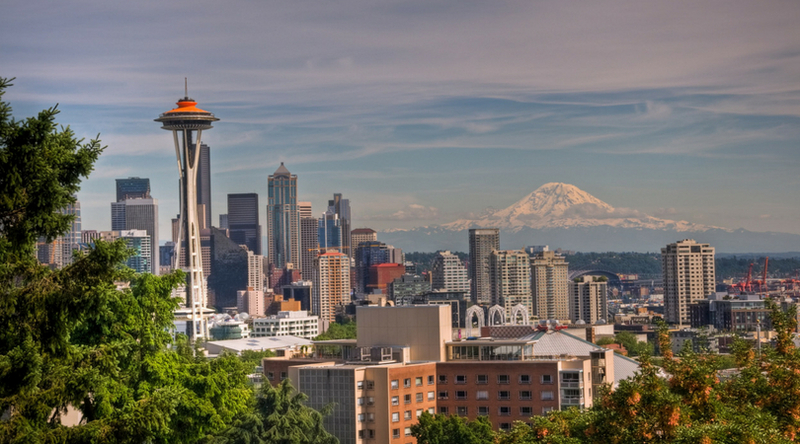 With the Seattle CityPASS, you’ll gain entry to five of the top seven attractions in the city. Three of the attractions are included with every pass. Purchasers then get to choose two of the remaining four attractions, which is nice for people who appreciate some flexibility. Although it is called a “pass,” the Seattle CityPASS is more of a physical ticket booklet. You can have the booklet mailed to you, or you can get a mobile/printed voucher that you later exchange for a booklet. In most cases, you’ll present your booklet at the gate of the attraction you’re visiting, and the attendant will remove the ticket for you. Flip the tickets over for helpful information – like the attraction’s address, hours, and how to get there using transit. They also include the best times to go, info on dining and gifts, and tips for maximizing your visit. You can find all this info online, but if you’re going to carry a ticket booklet, it’s nice to have it all at your fingertips. Once you visit your first attraction, the entire pass is valid for nine consecutive days. 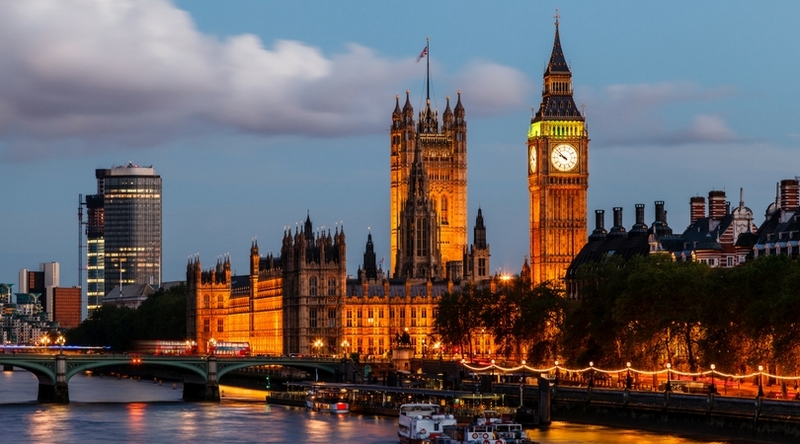 Considering it covers five attractions, that’s plenty of time to make the most of your visits. Needless to say, these attractions aren’t exactly cheap. If you want to visit the five most expensive attractions, you’ll spend over $180 paying the regular ticket price. The good news? The Seattle CityPASS can cut those costs almost in half. Now that you know what’s included on the pass, let’s get into the good stuff! Just how much savings are we talking? Children under age 5 may be eligible for free or discounted tickets at some sites. If you visit all five attractions, you’ll save up to $82 per person. That’s a savings of 45%! And, while the savings are greater for adults than for kids, a discount of almost 35% is still nothing to turn your nose up at. Save Up to 45% in Seattle – Save up to 45% off the cost of regular adult admission prices with the Seattle CityPASS! Learn more here. Want to enjoy a panoramic view of Seattle from 520 feet up? 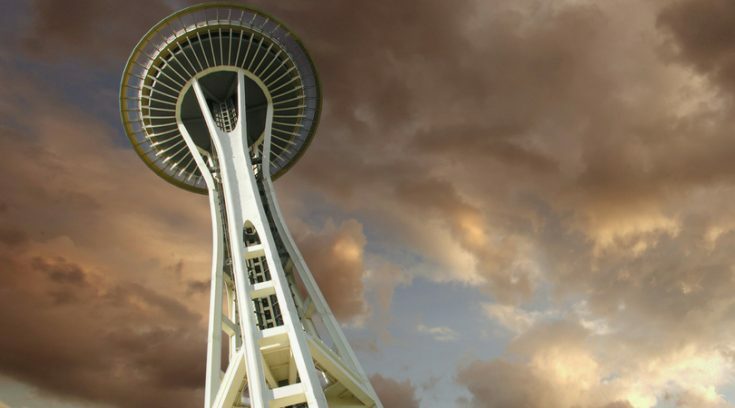 If so, you’ll want to take the 41-second elevator ride to the Space Needle’s Observation Deck. The city view is spectacular both day and night, which is why the Seattle CityPASS includes two admissions – one daytime entry (timed), and one during the last three hours of operation on the same day. As you might imagine, the Space Needle is very popular. I recommend reserving your daytime entry ticket in advance. You can use your pass to do so up to nine days before you plan to visit. The Seattle Aquarium is a treat for the whole family. There are currently six major exhibits featuring all varieties of sea life of Puget Sound and beyond. Think otters, seals, octopus, salmon, tropical fish, and more! “Life on the Edge” encourages visitors to touch and interact with the sea life of the Puget Sound tide pools – kids will love it. Dive shows inside the giant 120,000-gallon tank happen three times a day – be sure to check one out. Bonus: Use your Seattle CityPASS to skip the regular admission line. Head directly to the member/prepaid ticket line to streamline your entry. Take in the views and learn the city’s history on the one-hour narrated cruise of the Elliott Bay and Seattle Waterfront Shoreline. Use your Seattle CityPASS to reserve a timed cruise departure at the Argosy Harbor Cruise ticket booth. You can do this in advance anytime during the nine days the pass is valid. Interested in an upgrade? That can be arranged. Check out your options here. If you’re a fan of music, TV, movies, or video games (basically, if you’re alive), you’re going to find something for you at the MoPOP. Current exhibits feature pop culture icons like Marvel superheroes, Star Trek, Jimi Hendrix, and more. Interactive exhibits like the Indie Game Revolution and the Sound Lab will have adults and kids engaged. You can use your pass at the admissions desk or at any gallery entry. 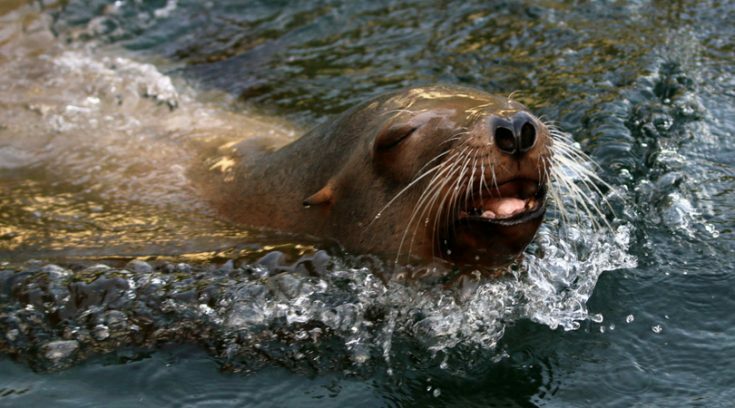 If you’re less into pop culture and more into nature, you’ll want to check out the Woodland Park Zoo. 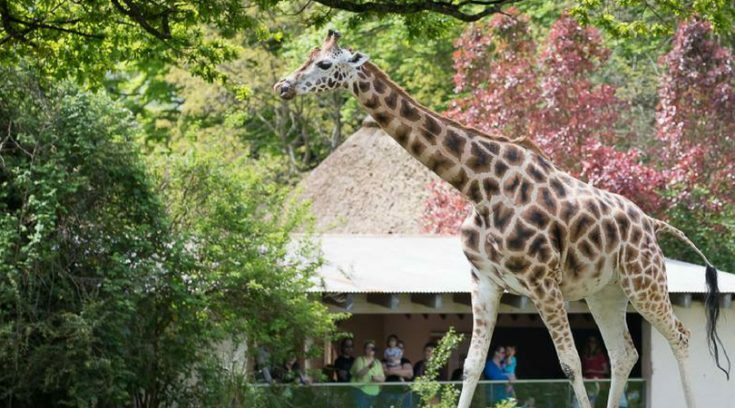 The zoo features wildlife from all over the world, including the African Savanna, Australia, and Tropical Asia. Current featured exhibits include the Assam Rhino Reserve and Baby Gorilla Yola. The zoo also boasts a sustainable penguin exhibit that’s sure to delight. Bonus: Skip the main ticket line with your Seattle CityPASS – just present your ticket booklet at the main entry point and you’re in. 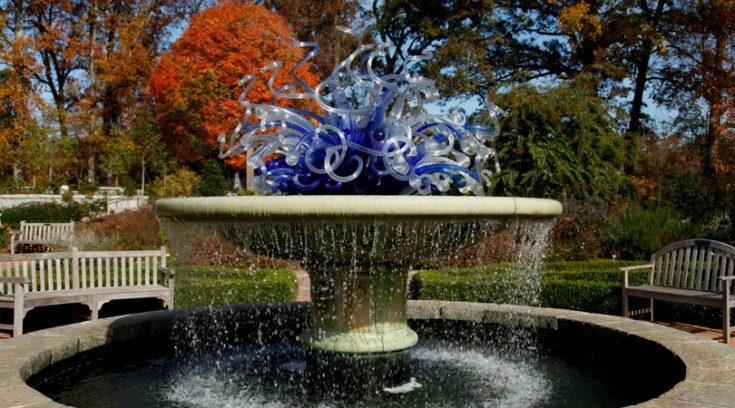 Chihuly Garden and Glass feature a 40-foot glasshouse that’s home to a stunning 100-foot long sculpture. You really need to see it to appreciate it! The garden exhibits are a unique blend of art and botanicals. If you are a lover of either, you’ll appreciate this place. Present your pass at the ticket window to reserve timed entry. Your admission also includes an audio tour you can listen to using your smartphone. The Pacific Science Center has a little bit of everything. Interested in Health and Wellness? You’ll want to hit up Professor Wellbody’s Academy of Health and Wellness. Love live animal exhibits? They’ve got tropical butterflies, reptiles, amphibians, and mammals. Dinosaurs more your speed? They’ve got you covered. There’s even a planetarium. Hot Tip: Kids will probably prefer this to Chihuly Garden and Glass. As an added bonus, you can use your Seattle CityPASS at the express entrance to save time. Mad savings – The Seattle CityPASS saves you up to 45% on admission to top attractions. What’s not to love about that? Extra discounts – Besides the main benefit, the pass also includes some extra savings. This includes discounts at the Space Needle, Aquarium, and MoPOP gifts shops – which might come in handy if you’re buying souvenirs. 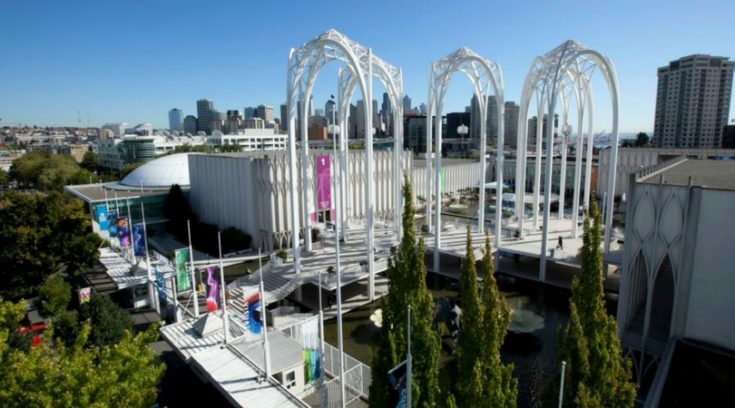 Even better, the pass includes a coupon for $5 off admission at Chihuly Garden and Glass and Pacific Science Center plus $3 off at MoPOP and Woodland Park Zoo. So, if you wanted to see all seven attractions, you can still get a discount on the two you didn’t use the pass for. Streamlined entry – Like I mentioned above, you can skip the line at the Aquarium, Zoo, and Science Center using your pass. These attractions can get quite busy, so saving time in line helps you make the most of your vacation. Good for nine days – Once you activate the Seattle CityPASS, it’s valid for nine days. This is great if you want to spread out your sightseeing. 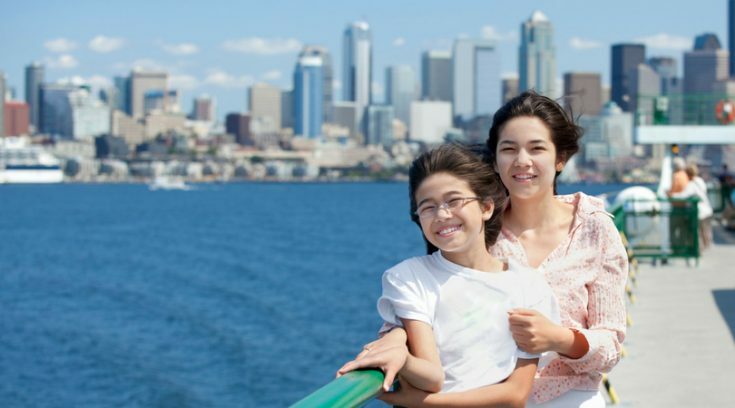 Save Money in Seattle – See Seattle’s top attractions for less with the Seattle CityPASS! Get entry to five of Seattle’s seven best sites, and save up to 45% off the cost of admission. Learn more here. The Seattle CityPASS offers great value, but it’s not without a couple of drawbacks. One thing you may not like is that the pass is not comprehensive. (To be honest, no pass ever is.) You get access to five of Seattle’s top attractions, and that’s it. While it may not be a big deal, if you want to see some sites that aren’t on the pass, you’ll end up paying out of pocket. The next issue is the ticket booklet format. You must carry the ticket booklet with you because, in most cases, those are your actual tickets. So if you lose it, you lose your ticket. The same wouldn’t be true if it were an electronic voucher or pass that you could show at a ticket window. That would seem safer. Using a pass on your smartphone would also mean one less thing to carry. Hopefully, they will change this feature like they recently did with the Chicago CityPASS. Elaborating on the booklet issue…you can’t rip out your own tickets! If you do, they may be considered void. So, resist the urge to remove the tickets you’re using that day and leave the booklet behind – it could mean you’re out the price of the pass. I’m not sure how strictly that’s enforced, but I sure wouldn’t want to risk it! First-time visitors – If it’s your first time in Seattle, chances are you’re interested in seeing all the key attractions included on the Seattle CityPASS. Families – Your family will save a ton on admission if you’re interested in the included attractions. And since they’re all pretty kid-friendly, it’s likely that you are. Travelers who want to see Space Needle and at least two other attractions – The pass is $99, and the regular admission price to Space Needle is more than half of that at $61.95. So, if you visit Space Needle and one other attraction, you’ll likely break even. If you visit two attractions plus the Space Needle, you’ll save money. Obviously, to get maximum value from the pass, you should visit all five. Travelers who enjoy a laid-back pace – The Seattle CityPASS is good for nine days, which is really nice if you want to spread out your sightseeing. Repeat visitors – If you’ve been to Seattle, already hit most of the major attractions, and don’t need to go back, this pass is probably not for you. 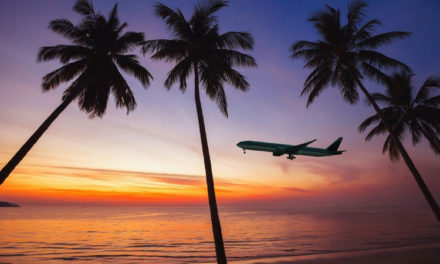 Travelers with limited interest in sightseeing – On the other end of the spectrum, if you’re not interested in sightseeing, you don’t need this or any sightseeing pass. And if you’re only likely to visit a couple of the included transactions, you’re better off skipping the pass. Tourists skipping the Space Needle – Since the Space Needle is by far the most expensive item on the list, if you plan to skip it, the pass may not be a great value for you. However, it may still be worth it if you plan to visit the other attractions. 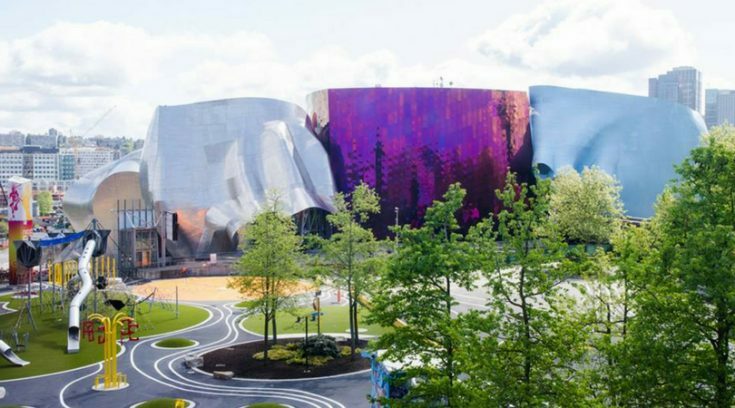 If you’re interested in all seven attractions, use the pass for MoPOP and Chihuly Garden and Glass – Woodland Park Zoo and Pacific Science Center have cheaper admission prices, so you’ll save more money if you use your pass for the more expensive tickets. If you really want to check out the other two, you can always purchase tickets. And don’t forget, there’s a coupon in your booklet that will save you a few bucks off admission. Don’t even think about ripping out your tickets – This is important! It might be tempting to grab the tickets you need for the day and leave your booklet at the hotel, but don’t do it! Like the Atlanta CityPASS, your tickets might be considered void if you do. Nothing ruins a day faster than throwing money away, am I right? Buying the Seattle CityPASS is a breeze. You can buy it online now right here. If you’re a smartphone user, the mobile voucher is probably easiest. Having the booklet shipped to your house saves you a step, but you can exchange the vouchers for booklets at any of the attractions, so there’s no inconvenience. If you have the booklet shipped to you, you run the risk of losing it or accidentally ripping out the tickets. For that reason, I feel more comfortable using the voucher. Note that the booklets have an expiry date. The website states that a CityPASS booklet you buy today (March 2019) expires February 28, 2021. If you get a voucher, you have six months to exchange it for a booklet, and then you go by the booklet’s expiry date. So, don’t buy your pass too early. If you’re planning a trip to Seattle and are mainly interested in visiting the attractions included on the pass, I say go for it! The Seattle CityPASS offers travelers up to 45% off some of the top attractions the city has to offer. Those are some pretty attractive savings! The pass is valid for nine days, which is great for people who want a little flexibility in their sightseeing. It also offers fast-tracked access to three of the attractions, which is great for helping you save time. All in all, I think the Seattle CityPASS is a great pass that can save families, couples, or solo travelers a nice chunk of change. If you’re planning to visit the best attractions in Seattle, this pass definitely deserves your consideration. Get Your Seattle CityPASS – See the top attractions in Seattle and save up to 45% off the regular admission price! Get your pass here. PreviousH&R Block Online Review: Is Their Tax Software Right for You? Credit Card Rewards: What Am I Doing Now?